This lovely golden retriever is very lucky on this fine Friday. Grace had come to us for a routine dental procedure, but we came across a paralysis tick on her neck! Grace is extremely lucky we happened upon it, as her hair was long and thick - a ticks’ paradise! 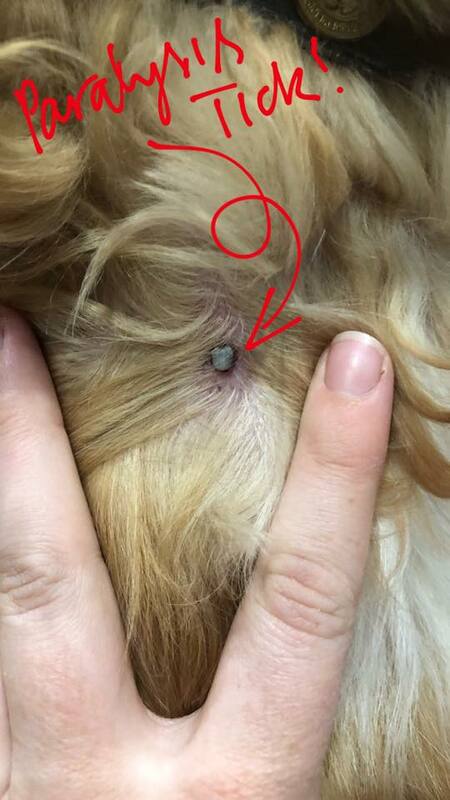 PLEASE keep your pets on tick prevention! There are a number of products on the market, and for cats too! If you purchase a 3 or 6 pack, you will receive 10% off! Pop in or all 07 5665 7116. The Pines Vet.